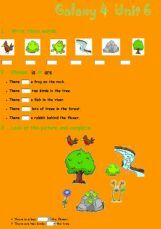 An gap fill and multiple choice exercise for adults/edvanced students. 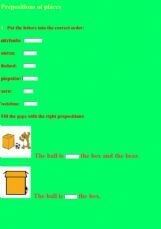 Look at the pictures and complete with the correct prepositions. 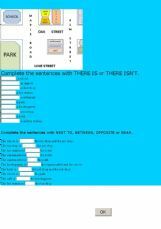 Places in town, prepositions of place, there is/isn�t. 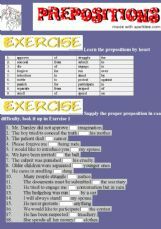 Exercises to practise prepositions of places. I hope you will enjoy it. It�s nice to use it with unit 6 of the book Galaxy 4. 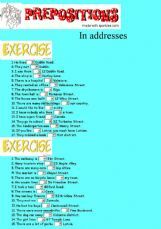 In this exercise students practise prepositions in, on and at with dates, hours, time expressions, months, years, etc. 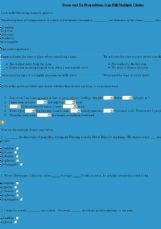 A tutorial and a 48-sentence exercise. 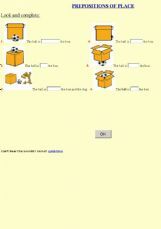 It�s useful to study contents of unit 6 in the book Surprise 4.